Kellogg Hansen attorneys have become a Supreme Court Justice, federal court judges, general counsel for federal agencies, academics at top law schools, federal prosecutors, and corporate counsel and executives at major companies. We are immensely proud of our alumni and encourage our associates to consider public service. 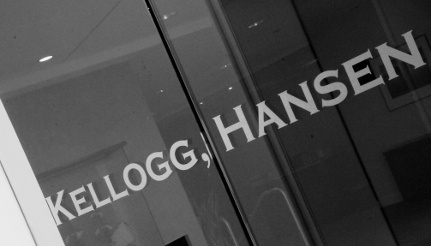 To Kellogg Hansen Alumni: Kellogg Hansen’s success is due to the talent, creativity, and hard work of each attorney who has walked through our doors and who we have had the good fortune to call a colleague. We encourage you to stay in touch with the firm and update us on your successes. Please email alumni@kellogghansen.com.